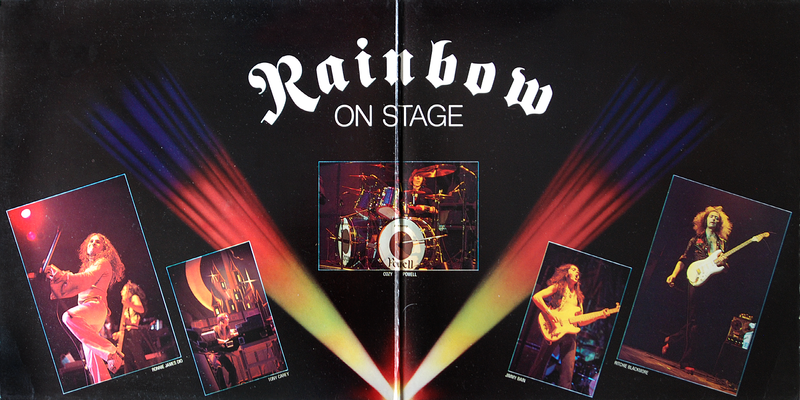 Captured from various performances on the 1976 Rainbow world tour, ‘Rainbow On Stage’ showcases the power and improvisation displayed by Rainbow’s Mk.II line up. Not content with merely replicating the original recorded work, Blackmore would extend many numbers into lengthy guitar showcases lasting up to 20 minutes on some occasions. The album was mixed and edited by Martin Birch, once again given sole duties at the production helm. The overall sound is impressive for a live show, although it later transpired that several performances had been edited together to create better versions of some songs. This was fairly standard practice for live albums, however, as it was unlikely that a single show would ever be good enough as a stand alone performance to be released as an album (e.g. 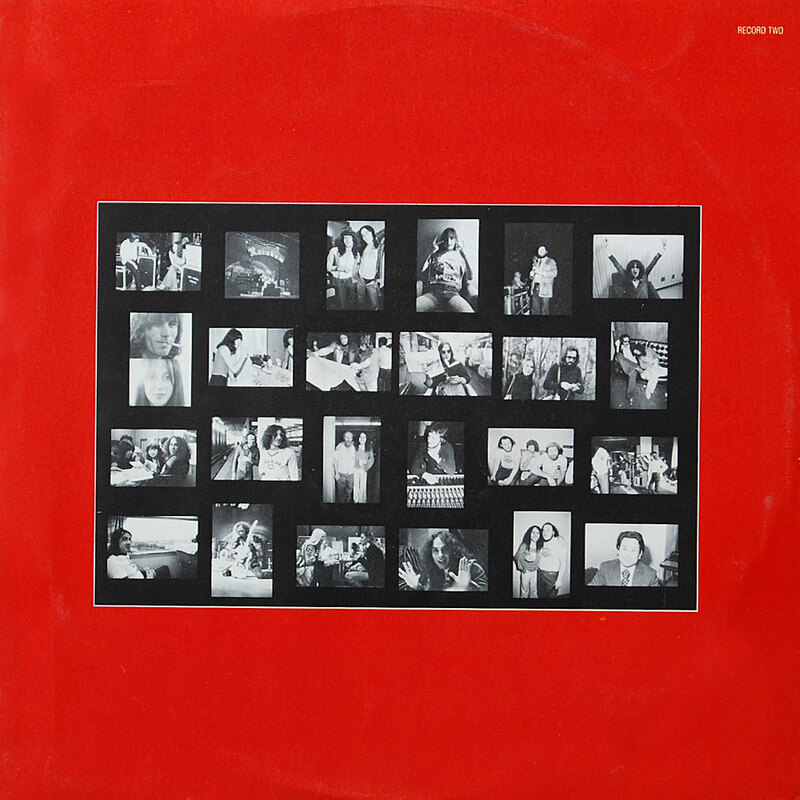 Deep Purple’s ‘Made In Japan’ was compiled from three separate shows). Other well known sections of the Rainbow live set were cut altogether, such as Cozy Powell’s ‘1812 Overture’ drum solo and recent tracks off the ‘Rainbow Rising’ LP, namely ‘Do You Close Your Eyes’ and ‘Stargazer’. Some of these decisions were made in order to get the tracks to fit on a double LP, some because the performances weren’t quite good enough; ‘Stargazer’ was a tough one to replicate live without the Berlin Philharmonic Orchestra filling out the sound as on the ‘Rising’ album…! 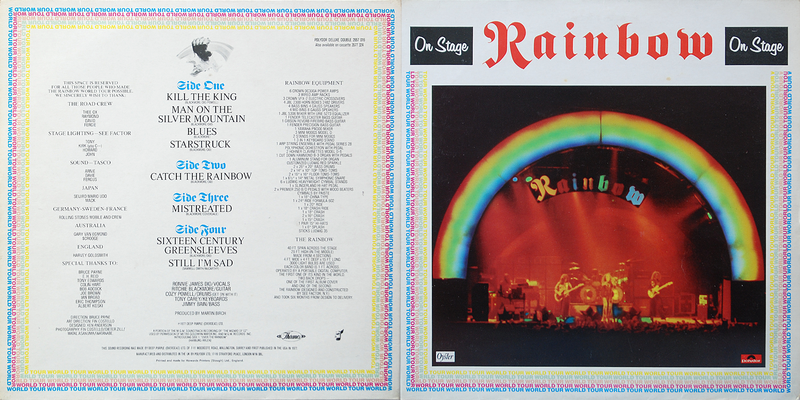 The running order was also chopped around to fit across 4 sides of vinyl, and again, many purists felt disappointed at the final representation of a Rainbow gig. 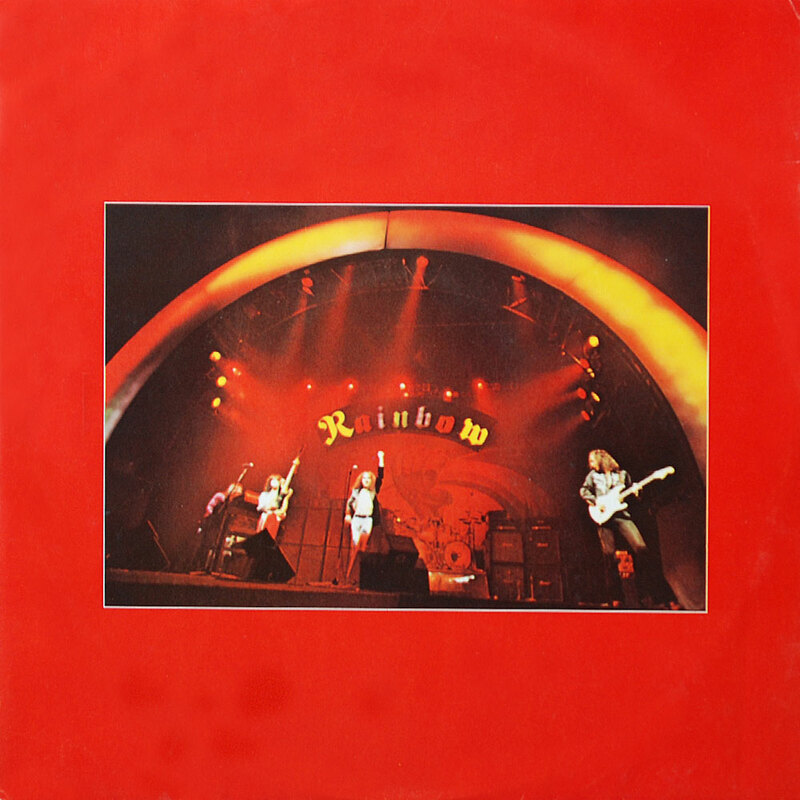 Taking that aside, the sound and individual performance of each song in its own right, is exemplary of the energy and quality of 1976 Rainbow at its peak. ‘Kill The King’ explodes as an opening track as the strains of the famous ‘Wizard Of Oz’ soundtrack introduction fade away. This song had been specifically written to open live shows and would not be committed to vinyl as an album track until 1978. Then a storming version of ‘Man On The Silver Mountain’, with much more power and vigour than the original studio cut, segueing into a familiar ‘Blues’ that Blackmore had introduced into Deep Purple Mk. 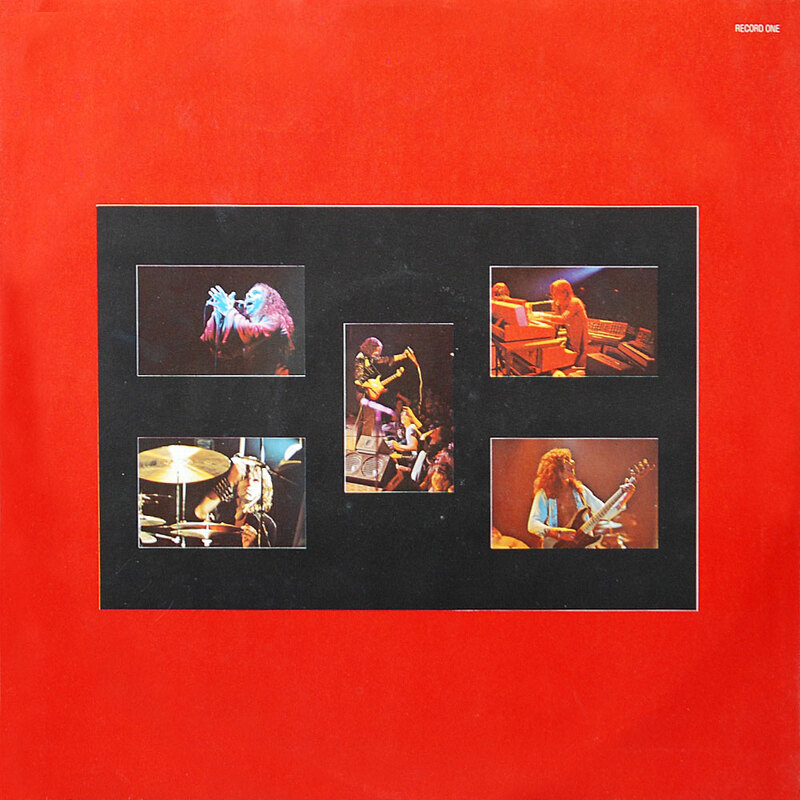 III live shows 2 years earlier, a brief snippet of ‘Starstruck’ follows, which doesn’t quite seem to hit the mark or demonstrate the prowess displayed on ‘Rainbow Rising’, leading back into the closing finale of side 1 with Dio proclaiming “You’re all…the men…” and the closing ‘Man On The Silver Mountain’ riffs. 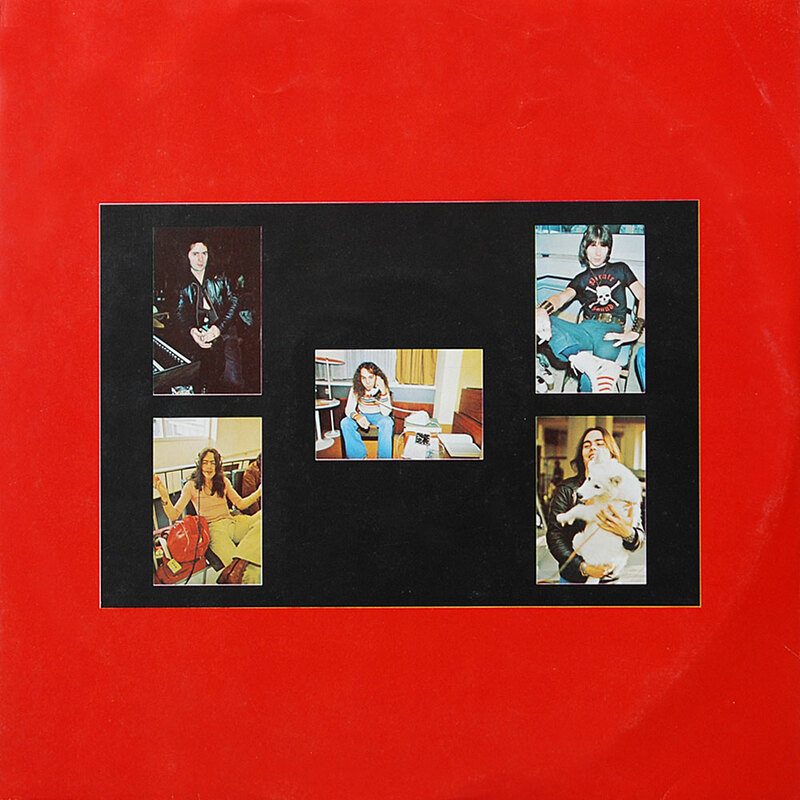 Side 2 opens in a restrained manner with Blackmore displaying his classical prowess and performing a reasonable section of Bach’s ‘Das Wohltemperierte Klavier’ to introduce ‘Catch The Rainbow’. A storming vocal performance from Dio and sublime phased guitar from Blackmore with a lengthy solo to extend the track to a single side of vinyl. The iconic Deep Purple ‘Mistreated’ number opens side 3 with a dynamic, echo-laden introduction. Dio seems to add an extra dimension to the vocal and again, Blackmore extends this into a personal showcase. Impressive. Finally, onto side 4, and two more re-energised classics from the debut Rainbow album. Blackmore deftly intro’s with the original ‘Greensleeves’ tune before launching into a much more powerful and pacy version of ‘Sixteenth Century Greensleeves’. ‘Still I’m Sad’ is likewise, and with the stunning vocals from Dio again, one wonders why the now seemingly rather tame instrumental version was ever considered for the original album. An awesome display, but this track does seem disjointed where the drum solo has been edited out.